Hark! Hark What News The Angels Bring! Source: Edgar Pettman, ed., Modern Christmas Carols (London: Weekes & Co., 1892), #19. Born free from sin, from guilt secure. Break forth in songs and praise the Lord. Come celebrate your Saviour's birth. No. XIX.—May be sung as a duet for Trebles and Altos. 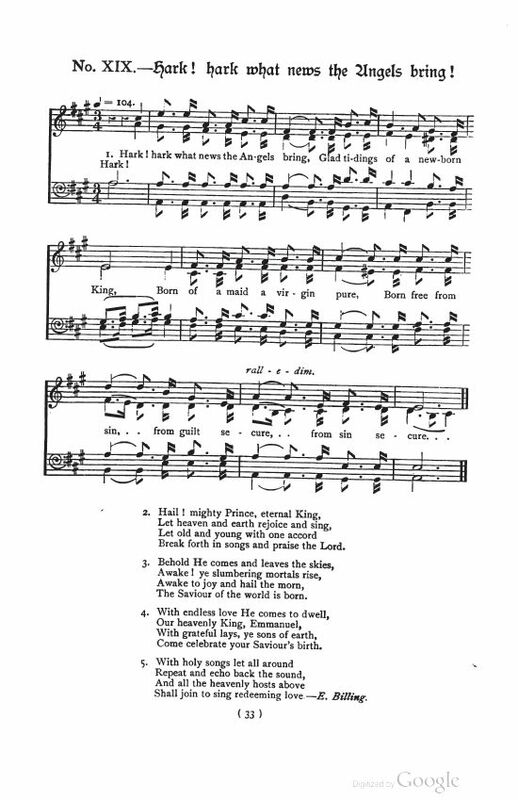 The words are taken from an old book of carols in the British Museum. 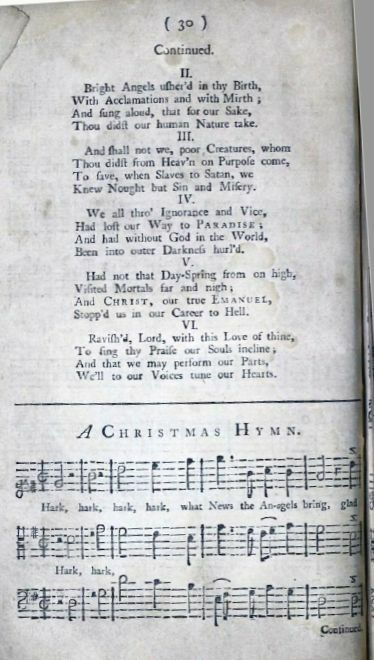 Sheet Music: William Knapp, ed., Anthems for Christmas Day (London: Robert Brown, et al., 1744), p. 30. 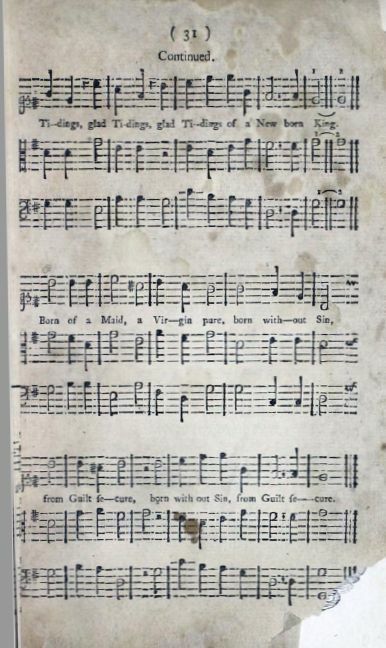 This is the earliest known appearance of this form of the carol, "In Bethlehem City."